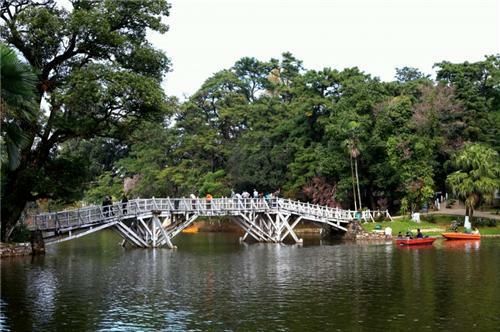 The Scotland of the East, Shillong is popular among tourists for its lakes amongst many other things. One can enjoy various activities like boating and water cycling in the lakes. Enjoy a calm and quite evening with your family and friends by the lake side and forget all your stress and tension. 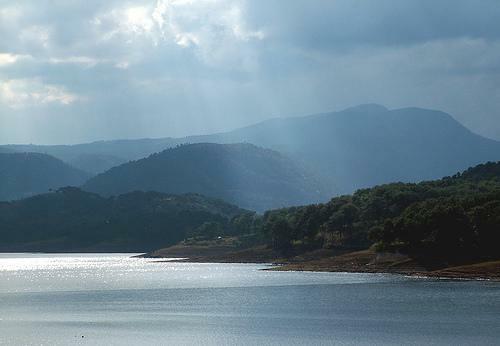 The Umiam lake is located in the hills 15 km north of Shillong in Meghalaya. The lake is also popularly known as Barapani (big water). The Umiam lake is one of the main tourist spots as well and an important picnic place for locals. The lake also has a story associated with it. It is believed that two sisters came down to Meghalaya from heaven, but only one of them could reach the destination. The sister who could reach the destination cried so much that her tears helped form a lake. This lake is known as Barapani (Vast water). The creation of the Umiam lake was done as part of building a dam. In the year 1965, the construction of the dam began and dam is the first Hydel Power Project in the Northeast region Meghalaya State Electricity Board manages the Umiam lake.One of the important tourist spots of Meghalaya, Umiam Lake is surrounded by hills all around. The lake also provides scope for various water sports. The lake attracts a large number of tourists for scooting, water cycling, boating and kayaking facilities. A water sports complex with facilities like paddle boats, rowboats, sailing boats, cruise-boats, river bus and speed boat, etc. is also there at the Umiam lake. One can enjoy the beautiful sunset in the lake. The high mountains and the the beautiful valleys, surrounding the lake leaves a lasting impression on each and every person who has come to this beautiful lake. Built in the memory of Sir William Ward, the lake is one of the most popular tourist destination.The lake is located in the heart of the city of Shillong. During the year 1894, the construction of this lake was carried out by Colonel Hopkins. It is said that a Khasi prisoner bored with the usual routine requested the warden to allow him to do some construction over the Ward’s lake. He was allowed to do so and what stands today is the beautiful Ward’s lake. The lake also has boating facilities. One can also find large number of fish in the lake and it is a very usual sight of tourists feeding these fish from the bridge and while boating. The lake also has gardens with variety of flowers and orchids beautifying them. The lake is bounded by the Shillong Raj Bhawan, Shillong Club, the State Legislative Assembly, Hotel Pinewood Ashok and the Shillong Botanical Garden. There is also a Botanical Garden in the Wards Lake. Built in the early 1900 and this garden houses a collection of indigenous trees and plants. Rare and beautiful species of birds like Pheasant, the Tragopan and Wildfowl also can be seen in the garden.